Even though this is the FOURTH iteration of the classic Hollywood rags-to-riches fable A Star is Born, I will do my best not to spoil it because apparently some of you took exception when Lainey let fly with the ending. At this point every age of cinema has its Star, from Janet Gaynor in the original 1937 film to Judy Garland in the 1954 version to Barbra Streisand in the 1976 remake. 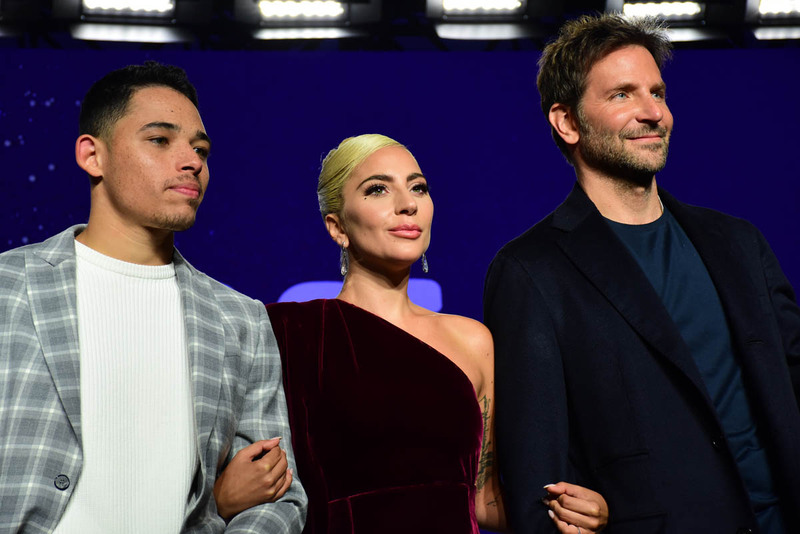 The latest version comes from Bradley Cooper, making his directorial debut (and earning his first script credit alongside Will Fetters and Eric Roth), and starring Lady Gaga. Cooper sets himself quite a task for a first film—just acting and singing in the film would be enough, but he’s also directing, and many actor/directors can’t really split their focus like that but Cooper gives a good performance AND acquits himself well behind the camera. The story is the story—nothing is being reinvented here. An aspiring singer, Ally (Lady Gaga), meets rock star Jackson Maine (Cooper), they fall in love, create music, and as her career soars, his stumbles. Jack, struggling with addiction and depression, launches Ally’s career when he brings her on stage to sing during a concert. She takes off as a Gaga-inspired pop star, but Jack hits the skids just as Ally is excelling, and predictably this causes conflict. The film doesn’t really delve into the conflict, though. No specific angle is taken, such as Jack’s Svengali-esque possessiveness toward Ally, or digging into Ally’s agency as a woman in a male-dominated industry, fighting her corner against not only the oppressive male gaze that plagues her industry but her husband’s expectations of her as an artist. The pieces are there, they just aren’t arranged in any especially interesting way. In one not insignificant respect, Star begs the question of why we’re doing this if there is nothing new being said or angle being examined. Early on Cooper does a little with the constant attention fame brings in the digital era, but that thread isn’t sustained throughout—for example, we never see Ally deal with being the target of this attention once she becomes famous—so Star remains largely a romantic drama about a couple who happen to be famous, without plumbing what that means for them as people. The rebuttal, though, is that what Star does, it does really well, and it’s a great audience experience. The music is good, it is an engrossing—if known—story, and Cooper and Gaga have fantastic chemistry. It’s a pleasure to watch this film, so much so that it feels designed for the audience experience. It’s as if Cooper chose to make this film because he knew he could provoke certain reactions and not necessarily because he had something to say (which is ironic as having something to say through your art is a big theme in the film). But he does get those reactions, it is easy to get swept away in Star, though if you have seen any previous version you will recognize each beat as it comes. What you won’t recognize is Lady Gaga. It’s not that she disappears into the role, it’s more that she just makes you not care that you know you’re watching Gaga. She has that in common with Judy Garland and Barbra Streisand—you always know who you’re watching, you just don’t care because they’re convincing you of everything else. She never loses her magnetic presence as a genuine popstar, even as she convinces you she is a self-doubting aspiring singer. And her chemistry with Cooper—who actually does disappear into greasy, growly Jack—really is so good, you believe every step of their relationship. A Star is Born is not a brilliant film—how could it be, treading such well-worn ground with nothing new to say?—but it is incredibly effective. It’s very well made, is an admirable debut directorial effort from Cooper, is engrossing while you’re watching, and should establish Cooper as a serious director and Lady Gaga as a movie star, too. It’s a good movie with something to please everyone that excels on the music and Cooper and Gaga’s chemistry. It’s not adding anything new to the Star is Born canon, but it is a solid retelling for a new generation. And we will one day look at this as launching Lady Gaga’s film career, which is fitting, given the subject.